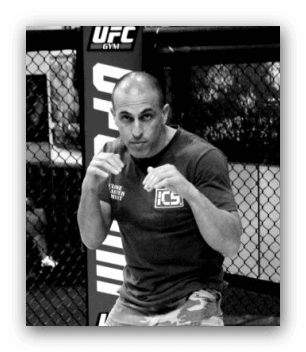 Peter Sciarra is one of the worlds best self defence instructors, with a great combination of speed, skill and experience he really is awesome to watch in action (check out the videos) and I thought it would be great to do another interview with Peter to ask him about his personal training and his instructor courses. Once again we are bringing you some great content and as always its free so please like and share this interview!!! And thanks Peter for taking the time to do it. Hi Andrew,yes last year we certified 32 Level 1 Instructors in Australia,New Zealand,USA ,Germany and Poland. We have 2 more level 1 instructor courses Scheduled this year in Madrid and Rome.So I think its going pretty good,I get usually get a good response from the students. I’m planning to run a level 2 Instructor course later in the year,most likely to held in Melbourne. 2.Of all the youtube videos I look forward too yours are always on the top of my list. They all get a lot of views. Are you considering putting any DVDs or online programmes out. Thanks very much Andrew.. Yes I get a lot of requests for DVDs,one of my greatest stills is procrastination. On-line training/DvDs is on my to-do list this year. I just recently acquired a proper editing programme. So I’ll have to pull my socks up and get it happening. 3. One of the things people say about you is that your techniques are so fast. Do you do any specific type of training to increase your speed of movement? A Lot of it is genetic,I have always been fast even as a young child. But what facilitates speed in fighting is not only how fast you move,but how efficient your movement is. Moving from one technique to the next without wasting movement. This is something that is hard to teach and needs to be acquired by the student. As far as excises to increase speed, sprint training would be my number 1. When I’m consistent with sprint training I can really feel myself getting faster with everything I do. In the gym I’m always changing my workouts,but I always try to include is strength movement followed by a explosive/plyometric movement ,eg.barbell squat followed tuck jumps. This method will increase strength and speed,which is what we need for fighting/martial arts. Another thing I always include in my training is a rotational movement. I’m a big fan of a piece of equipment called ‘Torsonator’,it’s a awesome device for developing rotational speed and power,which is so important in fighting.If you search ‘Torsonator’ on Youtube ,there are a bunch of videos there so you can see how it works. 4. There is a lot of focus now on fitness and nutrition. How often do you train fitness specifically and do you follow a special diet? Besides the training mentioned above,the only other fitness training I do is striking, Which I do in my home studio. I have heavy bags,floor to ceiling,a Bob dummy and a wall bags. I usually do 2mins x10 rounds with 30 secs between rounds. I train all the strikes,punching,hammerfists,elbows,plams,standing and on the ground. I also through in some skipping. I find it helps me be lighter on my feet. I try to do this 2 times a week , gym 2 times a week and sprint once a week. But I’ll go through periods when I’m lazy and I’ll only do 1 or 2 sessions a week. FOOD!! always be a weakness of mine. I love good food,grown up in a Italian family,worked in restaurants.I try to follow a 80/20 rule. 80% of the time I try to eat mostly unprocessed foods,like fruits,vegetables,oats,brown rice,nuts,eggs,red meat,chicken and fish. The low carb/paleo type diet I just can’t sustain.I use a protein supplement at least once a day and a pre-workout supplement when I’m low on motivation(which has been often lately) I’ll also make health shakes,with kale,celery,cucumber and apple. THEN the other 20% I eat whatever I want. Well the on-line/DVD training is one thing,I have some seminars/courses in Europe lined up in June,then the USA later on in the year. We also have a womens self defence business called ‘WomenSafe’. We run mainly courses in corporate venues and schools. 6. I know you have trained with Hock Hochheim, are there any of his products or programmes you recommend? Hock is a very smart man,all of his stuff is great. His organization of material is excellent,great drills and teaching methodology. A very comprehensive program, which I try to employ in my teaching. 7. Whats your favourite technique? That’s a tough one..I have so many favorites,if your talking about strikes I would say the hammerfists. They can be used at so many different angles,real effective strike standing AND on the ground. It has a large surface space to strike with, can also be used for blocking and dis-arming weapons. And most of all its the easiest strike to learn.It is most likely the first strike ever invented by privative man. 8. Who or what inspires you in your life. I would say when a student tells me how many much they are enjoying the training. 9. Whats the best tip you could give the combatives world on training and achieving goals. Master the basics,always train your basics,never stop training the basics. Find what works for you,every one is different. Shape,size strength ,age. All these thing can play a part in what you can pull off. When I was 19,I got into a fight and was able to kick the guy with a head kick,which ended the fight. I was young had the ability,so me it was a useful tool. Now I’m 42, and there’s no way I could do that without a 10 minute warm up. So learn from as many people as you can and choose what works for you .If your a instructor you must know a lot of material to show people. wow and thanks Peter, what an amazing interview- If you liked that then please click here to read his previous interview on our site.